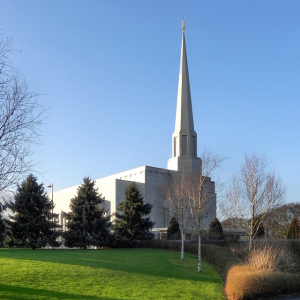 An apparently dry dispute about business rates on one of the Mormons’ temples in Preston (see pic) has reached Strasbourg and raises interesting issues about indirect discrimination on religious grounds. The underlying question was whether the temple was a place of “public religious worship” and therefore exempt from rates. There are over 12 million Mormons in the world, with 180,000 in the United Kingdom and Ireland. Their organisation is important for this application. Local congregations are called wards, and are presided over by a local bishop. Each ward meets in a local chapel. Five to 15 wards constitutes a “stake”. In each stake one of the larger chapels is designated as a stake centre, where meetings from members of all the wards in the stake can take place.